Quick Key Locksmith Wheaton | Local Wheaton Locksmith and Security Co.
Quick Key Locksmith – Wheaton, IL. Quick Key Locksmith is proudly servicing the city of Wheaton, IL. At Quick Key Locksmith we area great choice for reliable and affordable service. Whatever the nature of your situation may be; our professional locksmith team has the knowledge and the tools to find the right solution to complete the job. Whether your needs include residential, commercial, automotive, garage door, safes, access control, intercom, or surveillance services. Quick Locksmith in Wheaton is your one stop for all your security needs. Quick Key Locksmith’s has its local Dispatch Center, call today to discuss your need and the most suitable system for your home a nd family. Our customer service representatives will listen to your concerns. Together we can find a solution to safeguard your investment, all while staying with in your budget. Quick Key Residential Services are available 24 hours a day, 365 days a year. We are licensed, bonded, and insured for your protection. At Quick Key Locksmith, as employee we strive to exceed our goal to achieve customer satisfaction and assure peace of mind. Quick Key Locksmith Commercial Technicians are highly trained to help you design the perfect High-Security System for all your commercial needs. Our Commercial Security technicians use modern, up to date tools and equipment to meet the needs of all Chicagoland commercial customers. Contact our Customer Service Center to schedule an appointment, together we can design a security plan that meets your needs and budget. Quick K ey Locksmith Auto Specialists are licensed, bonded and insured to provide you with fast, professional, and reliable service. We provide the latest technology and upgraded equipment to handle all your auto locksmith needs. We provide Mobile Services for those in need of lockout, ignition change, replacement transponder key, broken car key, replacement key remote, vat car key, and night emergency lockout. Count on us with high quality service. Quick Key Locksmith Safe Repair & Service Specialists can install wall safes, jewelry safes, high-security sa fes and gun safes. Variety of safes can be easily placed in a certain area of your home, while others can be mounted and installed in your wall. Wall safes can either be recess mounted or flush mounted walls, giving you the option of being able to hide your safe for extra protection. All wall safe installs are properly measured and cut in your wall, reassuring safe securely fits into its chosen location. We also provide safe drilling in case of failed locks or if you lost your combination, such as emergency safe lockouts. Quick Key Locksmith Garage Door Specialist go all-out to make every service call one that represents our dedication to providing only the highest value services and products. Our trained technicians are specialists in the field of garage door repair and installation. We always consider a project complete only when the customer is pleased with the work. Being professionals, we are able to quickly and proficiently offer the services you require to get your garage doors back in action. Whether it’s an automatic door opener that needs to be installed on your property, or security doors that need repairing, we can help. Just contact our Customer Service Center and we’ll take care of the rest. Feel free to take a look around our site to learn more about other services we can offer you. If you would like an estimate or have any question, please do not hesitate to ask. Quick Key locksmith Wheaton’s Professional Team of Certified CCTV Repair and Installation Specialist are standing by ready to assist. Whether it’s to install, mount., maintain, and fix your security camera system. We are offering advanced security cameras with repair, replacement and installation services by our well qualified technicians and experts. We also have a wide assortment of the best surveillance cameras you can find, which includes IP PTZ cameras, vandal-proof cameras, wireless cameras, weatherproof cameras, license plate cameras, spy cameras, night-vision cameras, day-and-night cameras, and a many kind of NVR’S. Contact our Customer Service Center today for security cameras we are always ready to help you and provide the service you need. Quick Key Locksmith Specialist offer high-end access control systems. Entry control systems are designed to give you full control of who is in the proximity of your home or business entry points. We offer proximity readers, magnetic stripe card readers, fingerprint access, and a variety of keypads. With these, any break-in attempt would be immediately traced, and would initiate proper warnings. Quick Key locksmith offers systems to meet requirements of all types, from simple systems for just a few doors to systems with larger scale and even enterprise requirements, with integrated video, photo badging, bio metric, graphic maps, telephone entry and many other powerful features. Our hardware can be deployed using traditional proprietary security networking techniques, or standard TCP/IP networking utilizing your existing network or one dedicated to the security system. Quick Key Locksmith Specialist can provide you with a wide selection of quality commercial intercom sy stems with or without video. 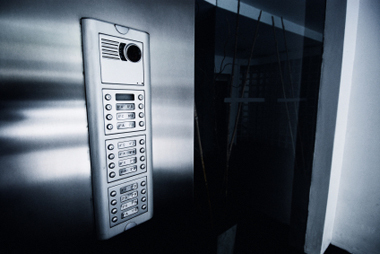 We also provide intercom and video intercom systems for residential and commercial customers. Visitors may be monitored and admitted after they are identified by audio or video you can choose black and white or color video, you can select the number of channels you need and you can choose from intercoms with a variety of features. Quick Key Locksmith Specialist will offer you the top name brand intercoms for your business, school, and commercial building or home. Quick Key Locksmith Specialist also have a wide assortment of the best surveillance cameras you can find, which includes IP PTZ cameras, va ndal-proof cameras, wireless cameras, weatherproof cameras, license plate cameras, spy cameras, night-vision cameras, day-and-night cameras, and a many kind of NVR’S. Call quick key locksmith today for security cameras repair, replacement, and installation services. We are always ready to help you and provide what you need.